I am back from the ion microprobe lab at Stanford after a few days of data collection, so I’ll be trying to get back on posting schedule here at Eruptions. UPDATE 3/10/2009 12:45PM: Here is a little (and I mean a little) more information, mostly adding that the local residents have been given a “warning” about the activity. However, I did notice this morning at Sakurajima in Japan erupted after rumbling over the weekend. There aren’t many details about the eruption beyond the fact that volcanic chunks were thrown a few kilometers from the vent, but the BBC does have some nice video of the eruption (after the required commercial). From the looks of it, the eruption is a fairly typical Strombolian-style eruption that is common at Sakurajima. I get a fairly steady stream of emails from Eruptions readers, some of which are very worth a post, but sometimes it takes me a while to get around to posting. This is my second attempt to catch up on these mailbag emails. Remember, feel free to email me questions or comments whether you want. Reader Aldo Piombino sent me an email last month after my post on potential Antarctic volcanism asking about some more unknown volcanoes. He brings up Mt. Marsili in the Tyrrhenian Sea (including a post of his own, in Italian), a volcano of which I was not aware. It is a submarine volcano (info on the volcano halfway down the page) off the coast of Italy that looks to be pretty big, but not much is known about it beyond that it is likely active but dormant. This volcano is related to fast seafloor spreading in the basin, at rates as high as 19 cm/yr! The other volcano Aldo mentions is Vavilov, another submarine volcano off Italy. Brian Owens sent me a link with a video from a CCTV camera in Pasto, Colombia that captured a Strombolian eruption of Galeras. Nice stuff. Seems that this seamount continues to chug away under ~500 meters of seawater. It is most famous for the 2004 eruption that coated an ROV that visited the volcano with ash and molten sulfur during an eruption (all under water). 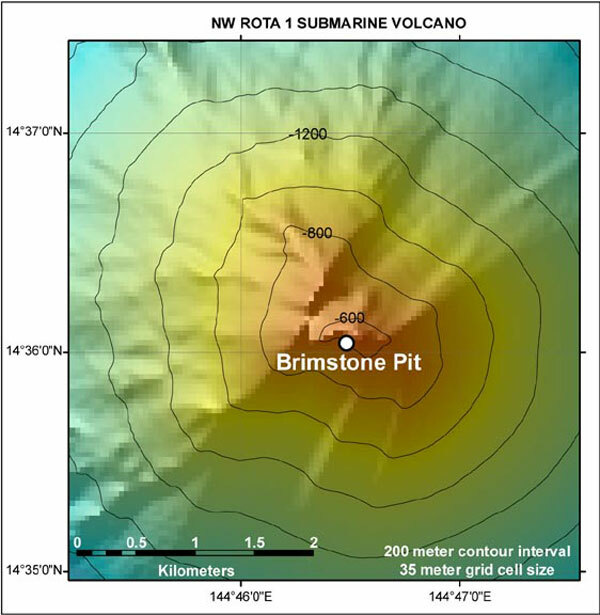 Below is a short video from a 2006 research cruise of the vigorous behavior at the vent called “Brimstone Pit”, which produced the 2004 eruption. You can clearly see the ash, rock and gases being ejected from the vent, all under half a kilometer of seawater! Bored with waiting for Redoubt to erupt? Well, Nevado del Huila in Colombia looks like it is also on the eruption watch list. A fly-over of Huila performed by Colombian officials (unclear from the article if it was done by National Emergency Management or INGEOMINAS) revealed a large lava dome growing in the crater, suggesting that an eruption might follow considering all the lava being extruded. This eruption might come in the form of an explosion caused by the collapse of this lava done – the collapse itself could generate a pyroclastic flow and the release of pressure on the underlying magma from the collapse of the dome could prompt a plinian eruption as well (but this is all speculation on my part based on the short article). This type of activity would produce a larger eruption than we’ve seen so far during the rejuvenation of Huila that started in the fall of 2007. Evacuations are being recommended for all people living near the volcano.